The only place in Singapore where you can See, Feel and Choose Your Actual Toyota C-HR right in front of you. All types and colours are here. Send in your enquiry to enjoy our 30th Year Anniversary Package today. EVER CHANGING NATURE OF MOBILITY. 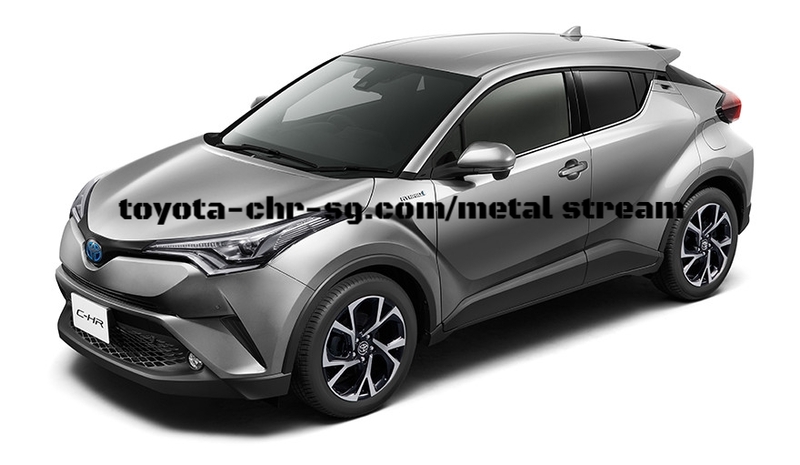 TOYOTA C-HR, a new boldly inventive compact concept crossover SUV. With numerous excellent reviews on its strong individuality, combining with outstanding environmental performance, the new TOYOTA C-HR will dominate the compact crossover market. Highly distinctive, the TOYOTA C-HR expresses itself as a vivid diamond motif, that have been sculpted and chamfered to represent the faceted surfaces of a precision cut gemstone. A polyhedron that intergrates a thin but vivid body with a lift-up feeling, thanks to the brilliant configuration of the large front and rear wheel overhangs that flaunt the goodness of the overwhelming stance of the new TOYOTA C-HR. Interestingly invented in a lust and playful manner, TOYOTA C-HR incorporated the foot illumination that emerges the car name logo when driver approaches the car. With 12 LED lamps flowing seductively from inner side to the outer steam, TOYOTA C-HR has adopted the first and all-new sequential turn signal lamp that will lead the modern market trend. Excellent reviews on new technology adopted in Toyota C-HR. With the use of TOYOTA New Global Architecture (TNGA), an innovative, intergrated development program for powertrain components and vehicle platforms, a highly rigid body has been achieved. As a result of efforts to improve the exceptional handling stability and TOYOTA's signature ride comfort, the TOYOTA C-HR responds to driver handling with a directness that gives the driving experience an intuitive feel. 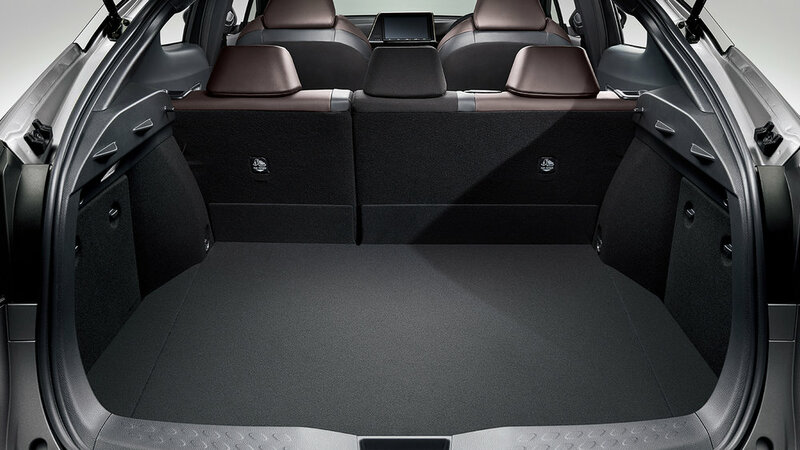 In the new charming Toyota C-HR, eye point is set high while ensuring vehicle stability. With good front visibility enables efficient pre-reading and efficient running. Furthermore, the front pillar is designed slimmer, hence enlarging the area of the triangular window and securing a good field of view diagonally forward. It is easy for driver to check the right / left turn at the intersection. Diamond shape has become the origin of the adopted idea of contour design for not only the exterior but also the interior of the TOYOTA C-HR. 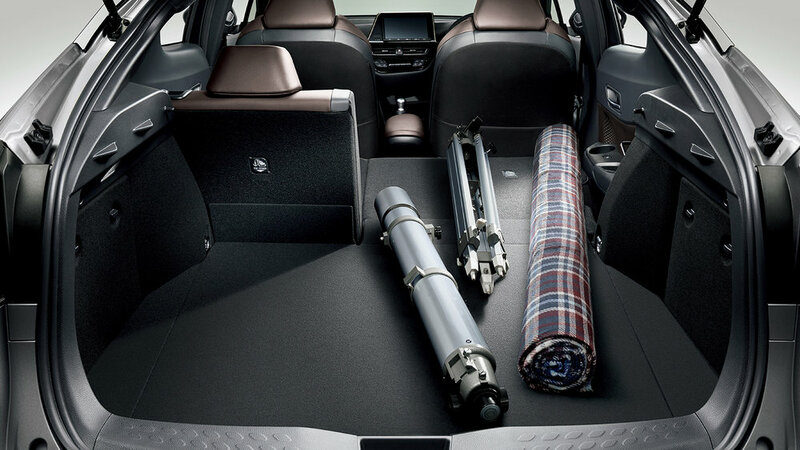 TOYOTA has casually arranged details like the 'diamond steps' luggage slip prevention to create a space that makes both driver and passengers feel unified with playfulness. In addition to the bold and stylish fusion of lightness and strength, TOYOTA C-HR pursue both high environmental performance and safety performance. 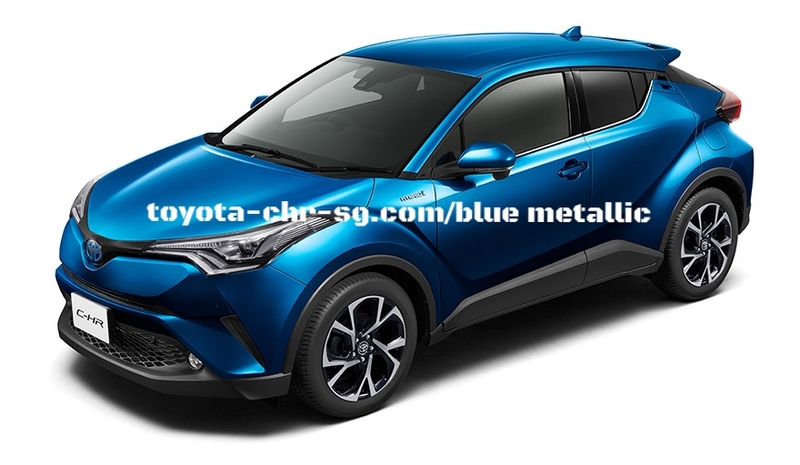 With the latest advanced technology in the HYBRID system, TOYOTA aims to give TOYOTA C-HR an 1.8L petrol engine with thermal efficiency of over 40%. It works efficiently in harmony with the lightweight and compact electric engine of TOYOTA C-HR to offer fuel effiiciency and superior aerodynamic performance that helps to realize high manoeuvrability and stability. In addition to the basic elements required for the crossover, TOYOTA C-HR pursue excellent safety, adopting TOYOTA Safety Sense Package, including the Pre-collision system (with Pedestrian Detection), Adaptive cruise control and Lane Departure Alert with steering control and Road Sign Assist. The all-new TOYOTA C-HR comes in 8 bold colours, each portraying its unique individuality.